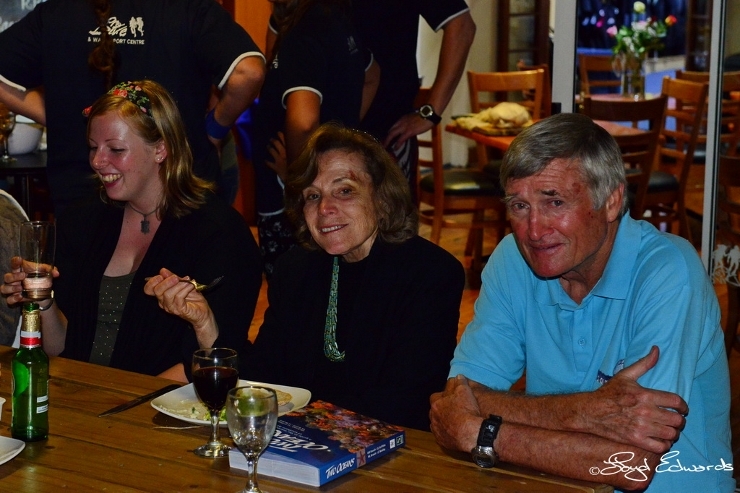 Dr Sylvia Earle was welcomed to Port Elizabeth on Wednesday 10th December by the Algoa Bay Hope Spot committee for a quiet and intimate evening at Pro Dive, enjoying food, drinks and good conversation. 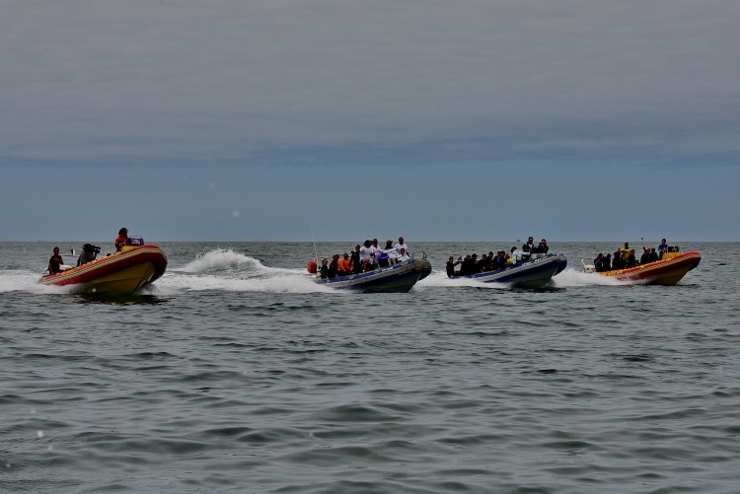 Then all the action started on the morning of Thursday 11th December. Pro Dive, Ocean Divers, Raggy Charters and Morven Maclean with ‘Blue Pearl’ went out nice and early to dive in the bay and unveil the hope spot launch banner underwater! 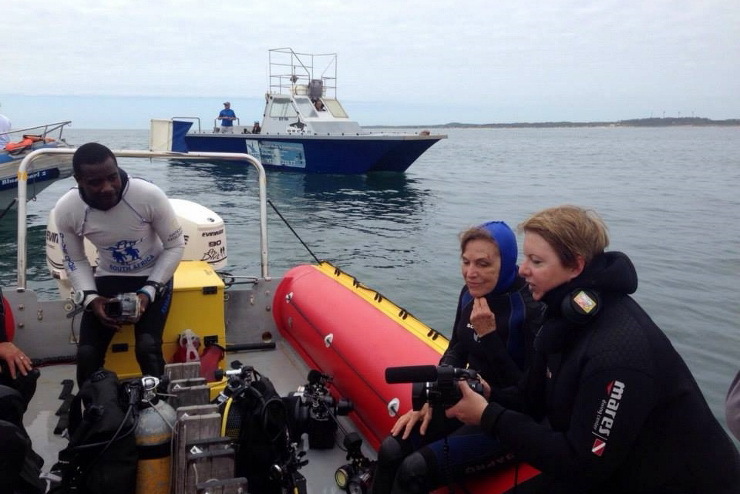 Dr Sylvia and a host of divers entered the unfortunately murky waters of Algoa Bay to show off all we have here. 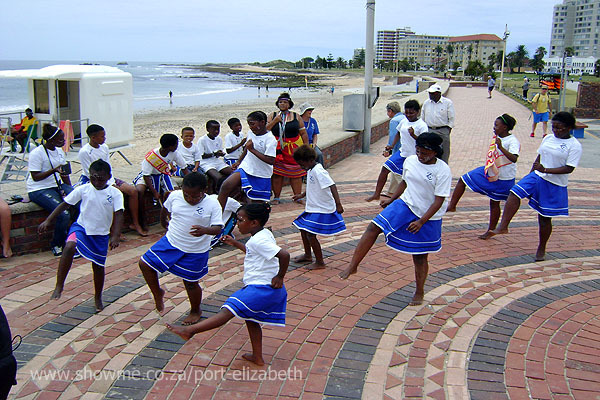 During that time there was a Sandcastle competition happening at hobie beach waiting for Syvlia to return who was welcomed by the Zwartkops conservancy with traditional African dancing and music from the Enviro Club kids show. 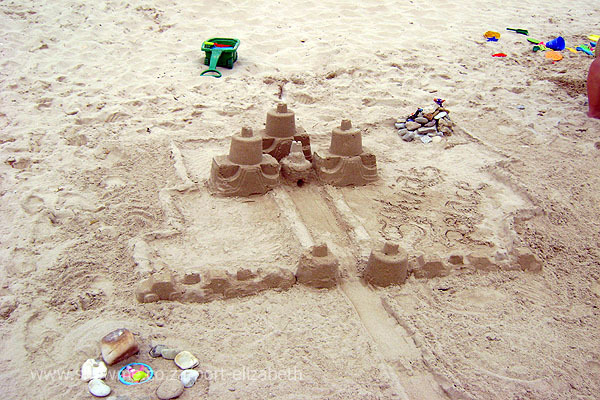 As Sylvia walked around the sand sculptures (some great ones of dolphins, penguins and a castle name ‘Sylvia’s Palace) she mentioned how much she enjoyed diving and exploring our ‘beautiful underwater garden’. 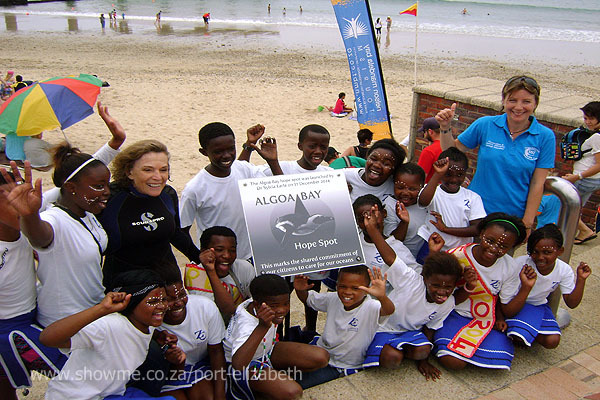 She watched the kids perform with a huge smile on her face, taking lots of photos, and then unveiled the Algoa Bay Hope Spot plaque in front of the media, with hope spot committee chair Dr Lorien Pichegru. Sylvia visited SAMREC in the afternoon to see the great work they are doing to save our penguins as she had a tour of the centre. 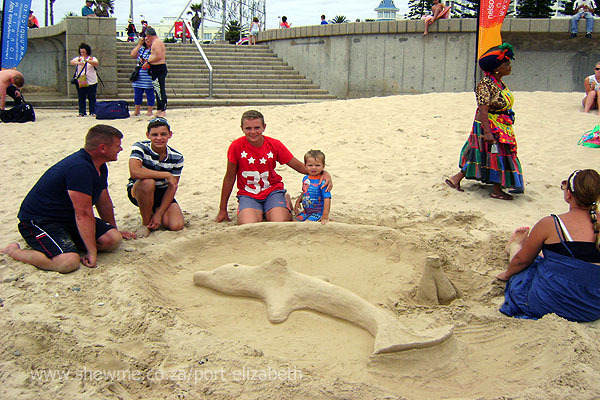 Then later in the evening nearly 200 Port Elizabeth locals arrived at the NMMU South Campus Auditorium to celebrate the launch of our beautiful bay as a hope spot. Peter Myles was the ‘Master of Celebrations’, he quickly dubbed himself. 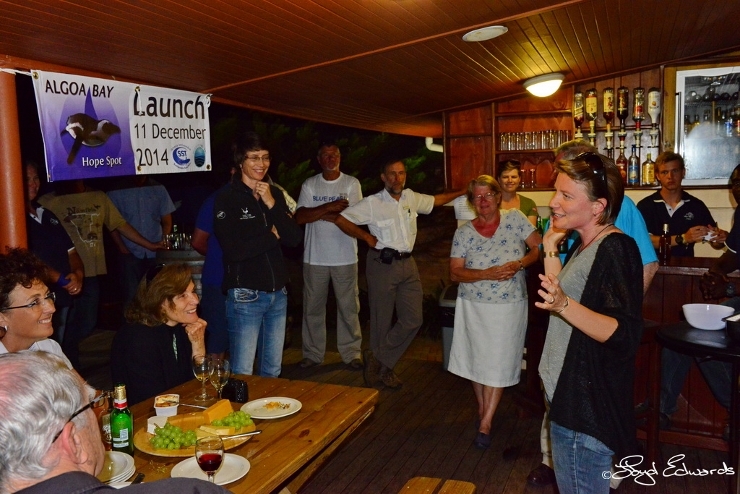 We had speeches from Mandlakazi Skefile (the CEO of NMBT), Kevin Hustler (the CEO of the NMB Business Chamber), Professor Andrew Leitch (who had the honour of introducing Sylvia) and Dr Tony Ribbink (CEO of SST- Sustainable Seas Trust), all extremely supportive and thrilled to be a part of this new initiative to our bay. 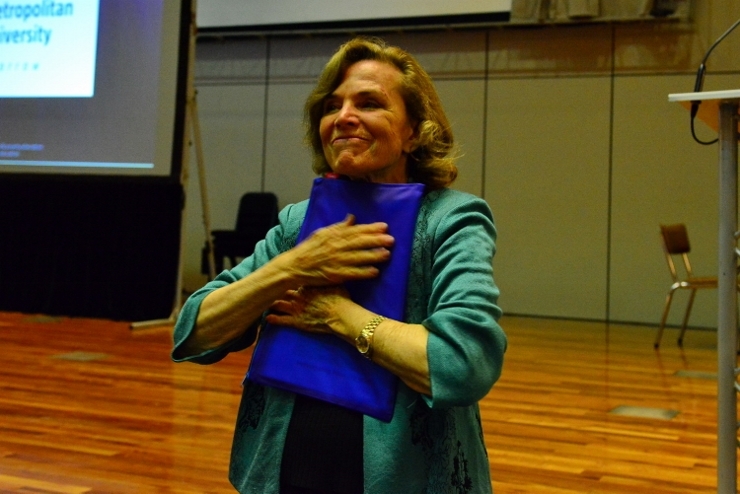 We also had an exciting and motivational presentation from Dr Sylvia Earle herself. 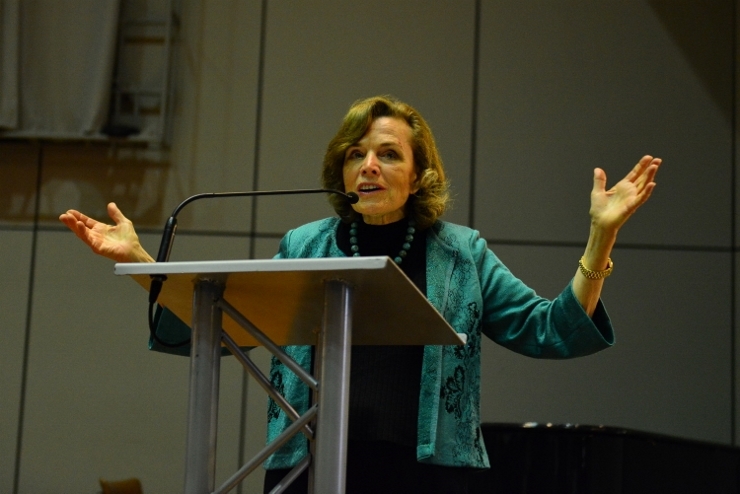 A great speech about the problems our oceans, and thus ourselves are facing, that had the entire auditorium absolutely enthralled. 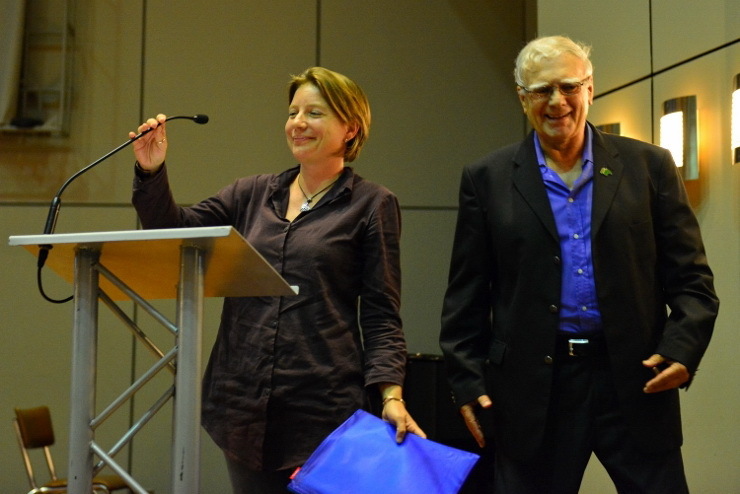 Anybody that was not interested in marine conservation before would certainly want to start taking action after her presentation, as the inspiration of her words began to settle in. 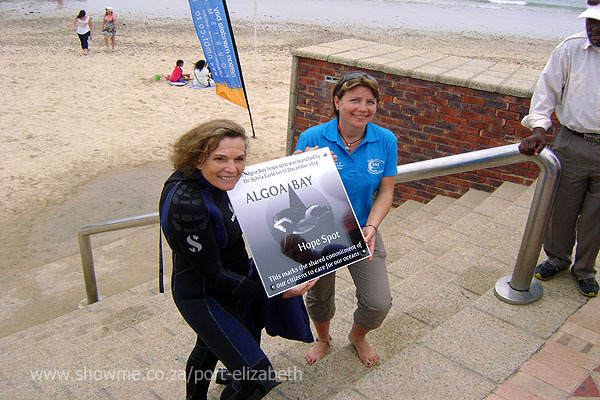 Sylvia was presented with our Algoa Bay Hope Spot 'Sea Pledge', a code of ethics that we promise to adhere to in our bay in order to keep the hope spot thriving. It included a list of 21 things we can all do for our hope spot. There was a short video shown about Algoa Bay and the launch of the Sustainable Seas Trust book ‘South African Coasts: A celebration of our seas and shores’ which Sylvia stayed behind to sign copies of. 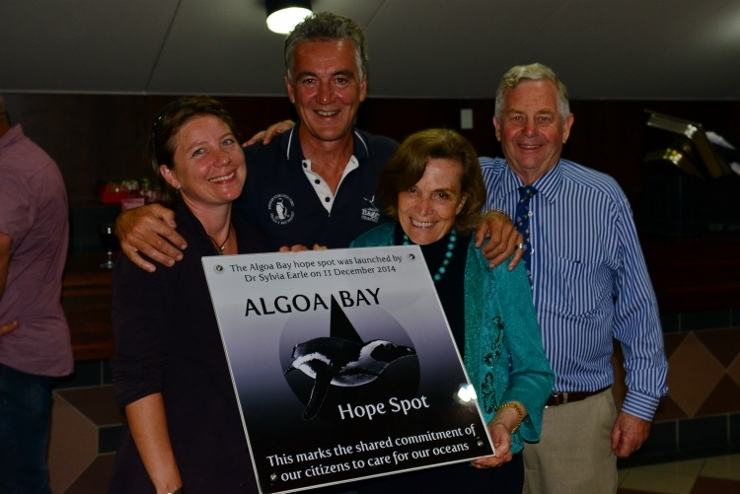 The rest of the evening was filled with enticing conversation, wonderful food, an art exhibition and sales of the book and calendar to start the Algoa Bay Hope Spot trust, which will enable us to carry on educating and conserving the bay!